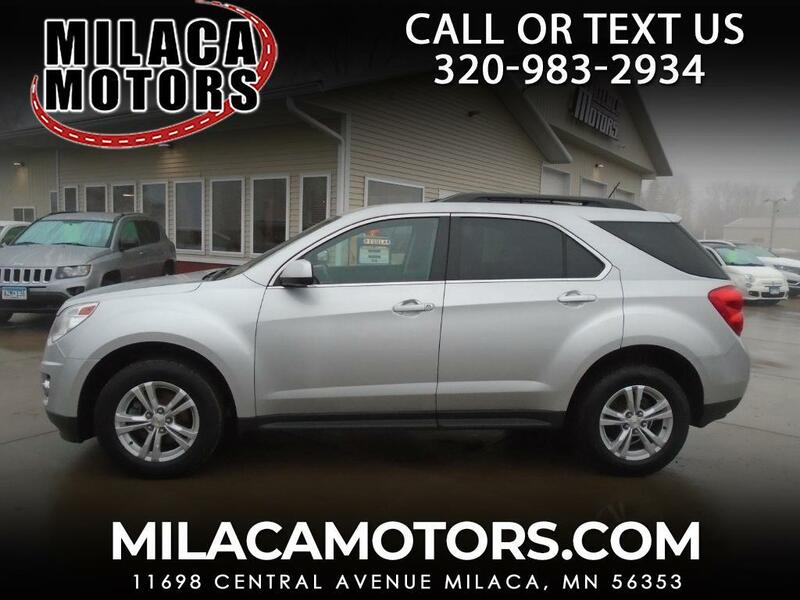 Feast your eyes on our 2013 Chevrolet Equinox 2LT AWD, shown in a stunning Silver Ice Metallic, designed to move you anywhere you need. Powered by an efficient 2.4 Liter 4 Cylinder offering 182hp while combined with a smooth shifting 6 Speed Automatic transmission with amazing passing maneuvers. Our 2LT comes with heated front seats, an 8-way power driver seat and Automatic climate control. Start your vehicle from inside your home or office with the advanced remote vehicle start that also will turn on your interior defroster, and exterior mirror defroster in temperatures 45 degrees or below. Relax into our haven with the premium 8-speaker sound system and all the tech advances you can desire. Safety is a big deal with Chevrolet with advanced safety features of Stabilitrack, 6 airbags, and more. Give your family the security, performance, and comfort that only come from owning Our Equinox. Don't delay...Print this page and call us Now... We Know You Will Enjoy Your Test Drive Towards Ownership!